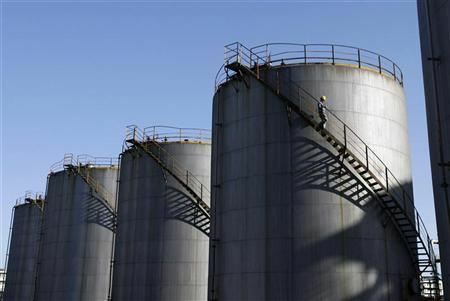 SINGAPORE (Reuters) – Brent crude remained steady above $108 a barrel on Tuesday on concerns the Cyprus bailout could set a new precedent in restructuring the euro zone banking sector, again feeding worries about the European economy and its demand for oil. Jeroen Dijsselbloem, head of the Eurogroup for euro zone finance ministers, said the Cyprus bailout represented a new template for resolving regional banking problems and other nations might have to restructure banking sectors to adapt. His comments caused the euro to reverse initial rallies and suffer heavy losses early in Asia on Tuesday, weakening demand for dollar-denominated commodities from buyers holding the European currency. “The process itself is a reminder that there is still a lot of risk in Europe,” said Ric Spooner, chief market analyst at CMC Markets. This seemed to be a “matter of short-term crisis management by politicians and the conflicting interests of different credit nations were in evidence,” he added. Brent crude futures gained five cents to $108.22 a barrel by 0548 GMT, after slipping to a low of $107.95 earlier. U.S. crude increased by six cents to $94.87. While the Cyprus bailout removed the immediate risk of a financial meltdown that could have ejected the Mediterranean island from the euro zone, investors remained worried about more potential problems for the country and euro zone. “That sort of conflict of interest, which could have caused the Cyprus situation to get out of control, and that kind of risk, is still very much with us in Europe,” Spooner said. After reaching an 11th-hour deal with the European Union, the European Central Bank and the International Monetary Fund to shut down the country’s second largest bank in return for 10 billion euros in rescue funds, the president of Cyprus assured citizens the deal was in their best interests. But banks will remain closed until Thursday and even then subject to capital controls to prevent a run on deposits.